Naomie Maltais is as focused as they come. As a medical student who just returned from the World Francophone Games, she balances her full-time studies with training for high-level hammer throwing. And the key to doing it all, she says, lies in the mindset. Despite qualifying for this year’s World Francophone Games team, Naomie didn’t seriously train for track until university. In high school, she kept herself busy playing everything from hockey, to soccer, to volleyball. Though she was interested in the individual sport of athletics, the rural area where she grew up, Val d’Amour, didn’t have the facilities. To make up for this, her parents bought her a discus and a hammer. In grade ten, she practiced launching them on the lawn outside her house. Unhampered by her lack of training, she qualified to represent New Brunswick at the 2013 Canada Summer Games, just a few years into the sport. “There was no club, no coach, and no one to train me when I was younger,” she says. Finally, when she attended the University of Moncton, the knowledgeable coaching staff made her a training program, and she could focus on getting better at the hammer throw. “It was amazing going from no coach to having a program,” Naomie says. “Though I was not used to training every day, I was used to doing sports every day.” Her previous experience in sports had taught her to work hard; however, the steep demands of competition took some adjusting. In athletics, field events are funny beasts. They’re unlike running events, where athletes have a single effort to manage. Instead, field athletes must throw or jump their first of three to six attempts, and, before they can go again, they must wait for the rest of the field to compete. This kind of competitive format leaves more than enough room for distractions. As a result, one of the most important parts to being a strong athlete is learning to manage energy and focus. Whether from it’s from nerves or self-doubt, field events athletes have plenty of time to get stuck in their head. “Throwing taught me how to clear my head. Right after the throw you have to think about what you just did, to process it. Now, I do that for a few minutes. Then, I let it go. I think about the next throw, and I don’t think about everything going on around me.” Naomie has a few key words, and a few routines, to help with this process. The mental challenges of sport, though, didn’t end there. In the summer of 2016 she threw the qualification standard, but the team only offered a certain amount of seats. Team Canada-Nouveau Brunswick would be decided by a ranking system, where all athletes would be considered based off their performance’s percentage away from the given standard. Long story short, Naomie knew that even though she had achieved standard, she might not be selected for the team. To make matters worse, most athletes had until April to qualify. Hammer, on the other hand, is only an outdoor, summertime sport; to qualify for the 2017 team, she would depend on her best distance from the previous year. In the end, her throw was enough to punch her ticket to the games. Once in Abidjan , when she stood up to compete against some of the best in the world, her mantra stayed the same. “At the games, I enjoyed the experience. The new place, all the people. But when it came time to compete, I focused only on my throws, about what I’m about to do, one part at a time.” Naomie finished tenth at the games, with a throw of 42.56m. For Alex Witmer, two things have always drawn him to sport: his love of travel, and the intense focus fostered by high performance. In 2011, he was the high jump silver medalist at the Canadian Senior Championships, but shortly after that career-high, life guided him towards other pursuits. After five years away, however, those two loves drew him back to sport. A Kitchner native, Alex won the highly regarded OFSAA title in grade twelve and qualified for the PanAm Junior team, which took him to Sau Paulo, Brazil. When it came time to pick a university, he eyed a map of the world and almost went elsewhere. “I had a pretty big case of wanderlust,” he says. “I was serious about academics and athletics, but I had a strong urge to travel.” As it turned out, jumping at a collegiate level allowed him to merge all three. A dedicated student, Alex transferred from Western to University of Toronto in search of a valuable and competitive degree. Though he managed multiple injuries -- he managed chronic patellar tendinopathy in his right jumper’s knee, and once competed at the CIS Championship with a hairline fracture in his tibia – he represented Canada at the 2011 World University Championships, known as FISU, in China. After the competition, he and a friend extended their plane tickets and went backpacking. In 2012 he took a stab at competing indoors, but was so burnt out he ended up telling his coach that he needed a break. The break turned into retirement. Alex immersed himself with work, relationships, and all the changes that come with post-collegiate adulthood. His degree in cognitive science didn’t offer many job prospects, so he followed a line into corporate sales, and ended up loving it. He met a girl from the east coast, and when a position opened up in Moncton, they decided to move to the Maritimes. Four years had passed since he last called himself an athlete. Then, exactly one year out of JDLF, Alex’s friend, the one he’d gone backpacking with in China, messaged him over Facebook. He mentioned that the Games would take place on the Ivory Coast, and suggested they both start training again, to qualify for the team together. Alex took September and October to condition. In December he jumped 2.10m. In case you’re wondering, that’s just 9 cm off his personal best, the mark set at the 2011 Canadian Championships. It also qualified him for Franco. In his interview, Alex was hesitant to speak the decision to return to sport. In a hard, dissenting sort of way, he spoke of injuries, of retirement. He spoke of sacrifices he made in university, of having maybe pushed himself too hard. He made it seem like elite athletics were a business situation he exited and re-entered. But no one returns to track if there isn’t something pulling them there. I kept asking questions, and Alex kept talking. The more he talked, the more his cadence quickened, the more his voice changed. “High levels of sport push you further mentally than anything I’ve ever experienced.” By this point, it was impossible to interject, and equally impossible to stop listening. “At this games, I got to test what my body was able to do after taking this amount of time off. I wasn’t unhappy with my performance, and it was good to kinda know that I’ve still somewhat got it.” Alex finished fifth, with a jump of 2.08m. The 3rd annual Maritime Track League concluded this year in Nova Scotia as Stellarton played host to the Atlantic Championships. This year there were a total of 9 events that served as eligible competitions for the series. Athlete scores are the sum of the three best performances they have over the course of the eligible meets. Competition was tough all around this year, with everyone vying for top rankings and prize money. On the men’s side, the winner was Tyrell Marin with a total of 251.73 points. He started his first eligible meet in Saint John facing heavy headwinds, but coming through with a first place finish in both the 100m & 200m. At the East Coast Games, Tyrell again found success with a wind-legal time of 10.87s in the 100m prelim and followed it up with an illegal wind time of 10.70s. For the final competition at Atlantics, Marin came through with a 1st place finish in the 100m with a time of 11.16s. Moncton’s Véronique Omalosanga was the winner on the women’s side. She opened her season in May in Moncton and never looked back. At the East Coast Games she ran a blistering 12.31 in the 100m qualifying, and came back with an ever faster 12.26 in the finals. Netting her first place both at the Games and here. Nova Scotia’s Ben Brown is the winner on the para side. Brown competed in a variety of wheelchair race distances, coming through with the win each time. At the Nova Scotia Canada Games & Legion Trials, he competed in the 100m, 200m, and 400m sprints with times of 17.01s, 30.24s and 58.81s respectively. Brown slightly improved his 200m with a time of 30.13s at the ANS Outdoor Track & Field Provincials. The Maritime Track League concluded for Brown with a 59.90s 400m sprint and a time of 30.27s in the 200m – 2 seconds faster than the competition. “Another successful year for the Maritime Track League and our NB athletes” said Executive Director of ANB, Gabriel LeBlanc. “It is great to see so many New Brunswick athletes in the top 10 rankings and we hope that this initiative and partnership with Nova Scotia and PEI can continue to grow so as to benefit our sport and all of our athletes” added LeBlanc. Prizes this year for the top athletes are: 1st place ($850); 2nd ($500); 3rd ($350). August 19, marked the beginning of the 12 day sporting competition known as the 2017 Fédération Internationale du Sport Universitaire (FISU) Summer Universiade. This year will be FISU’s 29th iteration of the Summer Universiade and Taipei City, Taiwan has the honour of hosting this competition. FISU has been growing in size, attracting more and more athletes every year it is hosted. The athletics portion of the competition has a large contingent of participants, with over 1,000 athletes competing in 50 events making it the largest individual sport in the Summer Universiade. This year, Athletics New Brunswick will be well represented by two outstanding athletes and our former High Performance Coach, and new University of Saskatchewan Head Coach, Jason Reindl. First, competing in the 3000m steeplechase, Genevieve Lalonde of Moncton will look to secure the top spot in her event, coming off an incredible performance in London, England at the IAAF World Track and Field Championships. Having just competed with some of the best in the world, Lalonde broke her previous national record with a time of 9:29.99 making her the first Canadian female steeplechaser to have dipped below the 9:30 mark. Sarah MacPherson, a 1500m specialist, from Fredericton will also be competing at the Summer Unversiade. MacPherson was recently a competitor at the Vancouver Harry Jerome Track Classic where she broke the NB provincial record in the 1500m with a time of 4:09.90 – a new PB. She will look to continue with her recent successes and earn a place on the podium against the top university athletes in the world. “Every time New Brunswick athletes are named to these international competition teams, it never ceases to amaze me” said Executive Director of ANB, Gabriel LeBlanc. “It just goes to show that we have real top talent coming from our province and inspiring the next generation of track and field athletes” added LeBlanc. Genvieve will be racing the 3000m Steeplechase finale on August 26th at 9:00am AST. Sarah will be racing the heats on August 26th at 1:40am AST and the finals are scheduled for August 28th at 10:15am AST. 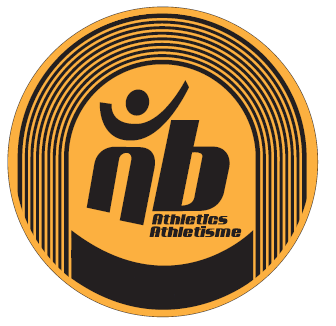 Athletics New Brunswick is very pleased to announce that nominations are now open for the 2017 ANB awards! Please ensure that you nominate athletes/coaches/officials/volunteer for their accomplishments and performances throughout the year. Deadline for submitting names is September 17th, 2017. The presentation of awards will be held during the ANB year end banquet in November in Oromocto. Aug 16 2017 - Lalonde 13th - Resets Canadian Record! Once again, Geneviève Lalonde has lowered her own Canadian Senior 3000 meter Steeplechase record! This time, she has done it on the International Stage at the 2017 IAAF World Track and Field Championship in London, England. The Moncton, New Brunswick native finished 13th in a cohort of women dubbed the “fastest, most accomplished (3000 meter Steeplechase) field in World Championship history,” by announcer Steve Ovett. The herd of athletes included an Olympic champion, 3 World Junior champions and 2 former IAAF World champions. Lalonde’s placing represents her highest ranking in an IAAF world championship. Moreover, her time of 9:29.99 makes her the first Canadian female steeplechaser to have dipped under the 9 minutes and 30 seconds. She bested her previous personal best and National record of 9:30.24. Again, she battled hard to remain in the race after an early race fall, and fought to hang onto the chase pack. The fast-paced race strung her to new heights. The Americans Emma Coburn and Courtney Frierichs grabbed the top two spots, followed closely by Kenyan Hyvin Kiyeng Jepkemoi. Congratulations Geneviève ! Way to put NB and Canada on the map, once again ! To begin, Paul Gautier (M50-59) headlines our NB delegation after a strong weekend of throws. He took home his age group’s gold medals in the shot put and the discus throw, reaching distances of 13.26 meters and 40.39 meters, respectively. He also won gold in the men’s 30+ throws pentathlon, posting a score of 3425. Gautier was not done there. He earned a silver medal in the weight throw (gold for the national competition), attaining a distance of 16.54 meters, and two bronze medals (both gold amoung Canadian competition) in the hammer throw and javelin throw with distances of 41.59 meters, and 40.93 meters, respectively. His Javelin and weight throw distances also netted him new provincial records! Tracy Dunn (F45-49) was top Canadian in the hammer throw for her age group, thanks to a toss of 19.65 meters. She was second overall. She then earned a bronze medal in the high jump (2nd amoung canadians), clearing the bar at 0.95 meters. Dunn then collected her third medal of the weekend, this time bronze thanks to her discus throw of 17.04 meters (first amoung Canandians). In the javelin throw, she was 6th, reaching a distance of 13.75 meters (2nd amoung canadians). Sharon Peabody (W50-59) collected three 4th place finishes within her age group. She threw the weight for 6.11 meters (first Canadian), jumped over a 1.0-meter bar in the high jump (3rd Canadian), and notched the discus for 15.40 meters (2nd Canadian). Finally, Adrienne Cameron (W-65-69) earned a 3rd place finish in the women’s high jump, clearing 0.9 meters (3rd Canadian). She then earned 6th place in the weight throw, tossing for 6.33 meters (4th Canadian). Her javelin throw of 12.76 earned her 7th place (5th Canadian). She then grabbed 9th place in the discus throw (6th Canadian) and 11th place in the hammer throw (7th Canadian), reaching distances of 12.73 and 15.13, respectively. Paul Gautier also participated in the Ontario Masters Championships on Aug 5th and 6th; where he won each of Shot Put (15.56m), Discus (42.50m), Hammer (50.58m) which is a new provincial record, Javelin (45.88m) and Weight of (16.44m). Congratulations to our four master’s athletes, way to represent ANB! This past weekend in Brandon, Manitoba, 42 of athletes competed for Team New Brunswick at the Canadian Legion Track and Field Championships. The Legion Championships serve as the national championships for athletes in both the Midget (14-15 years old) and Youth (16-17 years old) categories. New Brunswick came home with 1 medal , 6 provincial record, many top 8 performances and countless personal bests. Our athletes did not disappoint, squaring off against other top talent from across the country. There were great performances seen across both age categories over the course of the weekend. One in particular, was Erin Vringer of Saint John, who competed in the 2000m and finished in silver medal position with a time of 6:29.51. Not only did this earn Vringer a silver medal, but she set a new provincial record in the Midget Girls 2000m. Shelby MacIsaac of Riverview competed in the 100m ,200m finishing in 4th place in both with times of 12.41 and 25.53 respectively. She also took part in the High jump and finished with a height of 1.50m earning her 7th overall. Fredericton's Lexie Shannon came into the competition seeded 4th in triple jump with a jump of 11.43m this year. Shannon placed 4th overall with a best jump of 11.56m. Craig Thorne of Quispamsis competed in the 110m hurdles with a final time of 14.73 earning him a 5th place finish. Thorne's prelim time was even faster, clocking in at 14.58. This marks the second year in a row that Craig has beaten his own provincial record at the Legion Championships. Craig also set a new provincial record in the 400m Hurdle finishing 8th in a time of 55.92. Sophie Black of Dieppe set a new provincial record in the U18 Hepthatlon with a score of 4231. The Youth Girls team broke the finished 5th with a new provincial record of 49.13. Team members were Caroline Gagnon of Dieppem Abigail Davidson if Fredeticton, Joelle Leger of Dieppe, and Marie-Pier Cloutier of Saint John. The youth men's 4x100m relay finished 6th with a new provincial record time of 44.07. This team included ASEA teammates Jordan Henri and Mickyle Welsh along with SJTC teammates Kenneth McGovern and Craig Thorne. The women's midget 1600m medley finished in 5th place with a time of 4:24.14. This team consisted of Erin Vringer, Mackenzie Hall, Carys Jacobson and Haley MacFarlane. The midget men's 1600m medley finished 4th with a time of 4:06.64 and included Owen Enstrom, Jeremy Michaud, Tristan Morneault and Francois Richard. The same team finished 6th in the 4x100m midget men's relay. Once again, our best midget and youth athletes are set to square off against the top talent in the country at the 2017 Royal Canadian Legion Youth Track and Field Championship, which will take place August 11th-13th in Brandon, Manitoba. 42 athletes aged 14-17 will have the opportunity to represent team NB to the best of their abilities. Here are a few athletes to keep an eye on at this year’s championship. Jordan Henri of Moncton comes into the competition ranked 5th in the youth boys 100m in 11.02. The ASEA athlete is the midget and youth 200m New Brunswick record holder. He is ranked sixth in this event, having run 22.05 this year. His club teammate, Shelby MacIsaac, will be featured in multiple events. Already the owner of 4 New Brunswick records, the midget-aged MacIsaac will compete in the 100m and 200m where she is ranked 8th and 5th, respectively. She will also compete in the high jump. Lexie Shannon of Fredericton will fly the colours of Team NB in the youth girls’ triple jump. She has attained a distance of 11.43 this year, and is seeded 4th. Also from Fredericton, Danielle Keefe, will test her fitness against a fast 1200m field. Her time of 3:48.43 seeds her 5th in the midget girls competition. She will later compete in the 2000m. Erin Vringer will also be present in the midget girls 2000m race. The young runner from Saint John will be in the hunt for a medal, having run 6:38.53. She is ranked in 3rd heading into the championship. Finally, Craig Thorne of Quispamsis, the New Brunswick Youth Boys record holder in the 110m hurdles, is ranked 5th in the competition, thanks to a time of 14.76. On August 9th, at 7:05pm UTC (3:05pm ATL), our very own Geneviève Lalonde will be toeing the start line next to the best 3000 meter steeplechasers in the planet in London at the IAAF World Track and Field championship. Lalonde will run in the second heat of three, and her personal best time of 9 :30.24 ranks her 24th in a field of 42. For Lalonde to automatically qualify for the final round, she will need to finish in the top three in her heat. She may also advance to the final by securing one of six wild card spots. Hailing from Moncton, NB, Lalonde is racing in her second World championship, having placed sixth in her heat in 2015, failing to advance. This time, she comes with olympic experience under her belt, and a faster personal best time. Good luck Gen, NB is rooting for you ! The track and field portion of the Canada Games has come to an end on Friday, and our athletes once again punched above our province’s weight class. Here are the impressive results of team NB on this final day of competition. Veronica Coombes capped off an impressive week of competition with another gold medal winning performance in the para-ambulatory 200 meters, thanks to a time of 38.49 seconds. On the men’s side, Jacob LeBlanc posted a time of 30.69 seconds. This time earned him 5th spot. In the 200 meters, Braden Harrison finished in 5th place in the men’s B final and 13th overall in a time of 22.73 seconds. Meanwhile, the sprinting duo of Veronique Omalosanga and Samantha Taylor finished 3rd and 4th in the B final in times of 25.18 and 25.36, respectively. In the Special Olympics 200 meters, Jean-FrançoisBasque was 7th in a B final. He stopped the clock at 30.39 seconds. The men’s 800 meter B final featured a contested dispute for 2nd place between teammates Nick MacMackin and Andrew Leblanc. MacMackin edged Leblanc by 0.01 seconds, posting a time of 1:54.00. The duo claimed 10th and 11th spot overall. On the women’s side, MacKenzie Hall finished in 14th place in a time of 2:19.98. Clint Steeves and Timothy Brennan finished in 2nd and 3rd in the B final of the 110 meter hurdles, respectively. Steeves posted a time of 15.21 seconds, while Brennan crossed the line in 16.21 seconds. In the women’s 100 meter hurdles, Caroline Gagnon placed 11th, thanks to a time of 16.00 seconds. The high-flying duo of Alain Doucet and Jean-Luc Bastarache claimed positions 7 and 9 in the men’s pole vault. Doucet vaulted for 4.10 meters, while Bastarache cleared the bar at 3.95 meters. In the para-ambulatory shot put, Christel Robichaud threw the shot for 5.88 meters, good enough for 4th place. On the men’s side, Max Arsenault claimed 7th spot with his throw of 4.23 meters. Brandon Cleghorn jumped for 6.49 meters in the men’s long jump final, and earned 9th place in the process. The women’s heptathlon came to an end, and Sydney MacDonald scored 4489 points and claimed 7th place. This score also eclipsed Bridget Brennan’s previous New Brunswick senior women’s record of 4416 points. In the men’s 5000 meters, Brady Graves earned 6th spot with a time of 14:52.40. His teammate, Josh Shanks, crossed the line in 15th, covering the distance in 15:54.35. On the female side, Laura Dickinson collected her second silver medal of the weekend, thanks to a time of 16:56.23. Carol-Ann MacDonald was the 13th runner to cross the finish line in a time of 18:30.42. Finally, our 4x400 meter women’s team, consisting of Victoria LeBlanc, Magda Mekonnen, Monika Leblanc and Robyn Davis, claimed 8th place in a time of 4:00.96. Our men’s team, composed of Kenneth McGovern, Jack Berkshire, Andrew LeBlanc and Braden Harrison earned 7th place, thanks to a time of 3:19.79. During these games, our athletes have accumulated an impressive medal count of 3 gold, 2 silver and 3 bronze medals! Congratulations to all of our athletes, you have made us proud! We are now done the third day of competition in Winnipeg at the 2017 Canada Games, and team NB keeps making noise with strong performances across the board. Raphael Choquette placed 9th in the Javelin throw, attaining a distance of 48.16 metres. In the shot put, Jennifer Bell narrowly missed the podium and finished fourth with a throw 13.89 meters. Her teammate, Kyla Hughes was 11th thanks to a throw of 11.66 meters. Allan Boutilier’s triple jump was good for12.63 meters, and his performance ranked him 12th. In the women’s 100 meter B final, Veronique Omalosanga and Samantha Taylor posted times of 12.07 and 12.21, respectively. Their results earned them the 11th and 14th ranks overall. In the special Olympic 100 meters, Jean-Francois Basque was 16th with a time of 15.19 seconds. Veronica Coombes brought New Brunswick fans to their feet with a gold medal-winning performance of 1:16.73 in the 400 meters para-ambulatory race. Meanwhile, Jacob Leblanc finished fourth in the men’s race in a time of 57.36. Leblanc is three years younger than his next youngest competitor. Leblanc had revenge, however, in the 1500 meters para-ambulatory race. His time of 3:52.98 earned him the bronze medal. Coombes, once again, electrified the stadium with a gold medal performance of 5:39.35. In the men’s 400 meters, Jack Berkshire won the B final thanks to a time of 48.36 seconds. Andrew Leblanc crossed the line in seventh in the B final in a time of 50.75 seconds. In the women’s 4x100 meter relay, our team comprised of Caroline Gagnon, Joelle Leger, Omalosanga, and Taylor finished in 7th in a time of 1:01.58. In the women’s 1500 meter final, Hannah Cormier crossed the finish line in 16th, in a time of 4:59.57. On the men’s side, the well-established duo of Brady Graves of Michael Colford mixed it up in the final. Colford finished 8th thanks to a time of 3:59.20, with Graves directly behind him in 9th, running 4:04.11. In the 400 meter hurdles A final, Timothy Brennan posted a time of 55.96 seconds to claim seventh spot. Brandon Leblanc was fourth in the B final and 12th overall. He stopped the clock at 58.12 seconds. On the women’s side, Victoria Leblanc finished second in the B final and 10th overall in a time of 1:03.18. Her teammate, Miriook St-Arnauld was 14th overall and sixth in B final in a time of 1:08.48. In the women’s discus throw, both Sara-Eve Noel and Melissa Pellerin unfortunately failed to qualify for the final round. Noel launched the discus for 32.51 meters, and Pellerin threw for 27.56 meters. They finished in 15th and 16th, respectively. Finally, in the women’s triple jump, Tess Macdonald earned herself sixth place with a jump of 11.82 meters. Lexie Shannon was not far behind, thanks to her jump of 11.47 meters. She placed 9th. Congratulations to all our NB athletes, and best of luck moving forward at the Canada Games! With the Francophone games having just completed in the Ivory here are our wonder NB performances. To lead off we have none other than Shelley Doucet, who in fact the women's marathon with a time of 2:51.14, on the first day of competition, starting things off with a bang! Next we Have Jonathan Gionet in the shot put with a throw of 15.40m which landed with a 6th place finish. Next up we have Chris Robertson with a total score of: 6661 putting him in 6th place. Having an 11.77 in the 100m, a 6.62m in the Long Jump, a 10.97m in the shot put, a 1.94m in the High Jump, 53.25 in the 400m, 15.63 in the 110m hurdles, 38.45m in the Discus, 4.10m in the Pole Vault, 50.28m in the Javelin, and a 4:48.32 in the 1500m. Alex Whitmer jumped a 2.08m in the High Jump to finish 5th. Barry Britt ran the 5000m in a time of 14:28.33 which put him in 8th place. Elizabeth MacDonald had a throw of 52.18m in the Hammer which got her 8th place. Naomie Maltais had a throw of 42.56m also in the hammer for 10th place. Congratulations to the athletes on their great performances on the International stage. The Canada Summer Games are now officially half way through the Track and Field competition. So here are the great performances by our athletes from the first 2 days. Melissa Pellerin got herself a 7th place finish in Javelin with a throw of 39.87m. While Kyla Hugh got herself a 10th place finish with a throw of 34.25m. Sara Eve Noel qualified for the final in the Hammer throw with a throw of 41.68m. Tess Macdonald jumped a 5.01m in the Long jump which was good enough for 14th place while Victoria Leblanc was 15th with a jump of 4.86m. Samantha Taylor qualified for the B final in the 100m with a time of 12.46s while Veronique Omalosanga also made the B final with a time of 12.56s. Jack Bershire made the B final in the 400m with a time of 49.21, while Andrew Leblanc also made the B final with a time of 50.50. Robyn Davis and Monika Leblanc were both very close to making the B final, Robyn ran 1:01.47 while Monika ran 1:01.74. Jacob Leblanc in the Wheelchair 400m qualified for the final with a time of 1:00.33 to break the provincial record by almost 2s held by James Brace in a time of 1:02.14. He also made the final in the 200m race with a time of 30.16. Timothy Brennan qualified for the A final in the 400m hurdle with a time of 55.44, while Brandon Leblanc qualified for the B final with a time of 59.04. Victoria Leblanc qualified for the B final in the women's 400m hurdle with a time of 1:02.92, while Miriook St-Arnauld also qualified for the B final with a time of 1:08.33. Brady Graves and Michael Culford both qualified for the final in the 1500m with Brady running 3:57.74 and Michael running 4:00.39. The men's 4x100m run by Brandon Cleghorn, Kenneth McGovern, Braden Harrison and Alexander Williston qualified for the A final with a time of 42.65. The women's 4x100m run by Marie-Pier Cloutier, Veronique Omalosange, Joelle Leger and Samantha Taylor qualified for the A final with a time of 49.09 which best the Junior women's provincial record of 49.86. Max Arsenault finished 6th in the men's ambulatory Discus throw with a throw of 7.98m which scored him 87 pts. Jarod Manuel and Alain Doucet both failed to qualify for the final in the men's discus, with Jarod throwing 37.28m and Alain throwith 28.35. Christel Robichaud finished with a bronze medal in the ambulatory discus throw with a throw of 14.55m which was good for 475 points. Sophie Black in the women's High Jump ended in 8th place with a jump of 1.60m. Brandon Cleghorn qualified for the final in the Long Jump competition with a jump of 6.46m, regrettably Julien Leger felt just short of the final with a jump of 6.33m. Liam Turgeon got himself a bronze medal in the Shot Put with a put of 14.66m. While Jarod Manuel finished in 11th with a put of 11.57m. Raphael Choquette qualified for the final with a throw of 44.66m, while Alain Doucet fell just shy of the final with a throw of 43.48m. Braden Harrison qualified for the B final in the 200m with a time of 22.29. While Tyrell Marin fell just shy with a time of 22.95. Once again both Samantha Taylor and Veronique Omalosanga qualified for the B final this time in the 200m, Samantha ran 24.85s while Veronique 25.22. Nick MacMackin and Andrew Leblanc both made the B final in the 800m with Nick running 1:55.06 and Andrew running 1:57.54. Mackenzie Hall qualified for the B final in the 800m with a time of 2:21.80, while Hannah Trites fell just shy with a time of 2:27.70. Clint Steeves and Timothy Brennan both qualified for the B final in the 110m hurdles, Clint ran 15.32 and Timothy ran 16.45. Marie-Pier Cloutier and Caroline Gagnon both qualified for the B final in the 100m hurdles with Marie-Pier running 15.49 and Caroline running 16.08. Laura Dickinson raced herself to a silver medal in the 3000m steeplechase with a time of 10:27.99. While Carol-Ann MacDonald finished in 11th with a time of 11:36.67. Angus Macintosh got himself a 10th place finish in the 3000m steeplechase with a time of 9:42.09 while Bryan Thomas finished in 14th with a time of 10:39.61. The men's 4x400m team consisting of: Braden Harrison, Timothy Brennan, Kenneth McGovern and Jack Berkshire punched their ticket to the A final with a time of 3:23.81. The women's 4x400m team consisting of Robyn Davis, Monika Leblanc, Magkda Mekonnen, and Victoria Leblanc also punched their ticket to the A final with a time of 4:02.84. Tess McDonald and Lexie Shannon both made their way to the final in the Triple jump with Tess jumping 11.97m and Lexie jumping 11.50m. Jennifer Bell and Kyla Hugh both qualified for the final in the women's Shot Put with Jennifer throwing 13.74m and Kyla throwing 11.29m. Liam Turgeon finished in 12th place in the Hammer throw with a throw of 38.13 meters with Jarod Manuel finished in 15th place with a throw of 32.65m. Brandon Cleghorn and Nicholas Maclean both failed to qualify for the final in the High Jump competition with Brandon jumping 1.89m and missing by a single fult and Nicholas jumping 1.84m. Jean-Luc Bastarache finished 5th in the Decathlon with a score of 5939, while Ryan Evans finished in 6th with a score of 5800.